Spying on family members and our loved members had become an important activity these days. 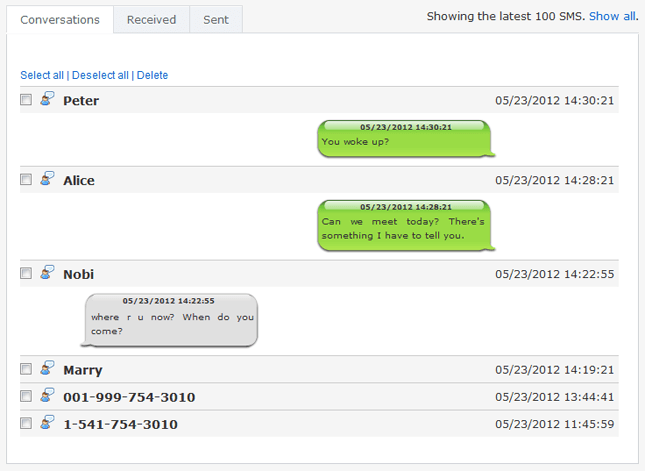 Peoples all around the world use various applications for chatting and involving with the business conversation. All these applications are made for human benefits but these days’ crime and cyber bullying taking place through it. Bbm is a messenger app used for chatting, sending photos and videos online these days. You can spy bbm messenger of the targeted mobile using TheTruthSpy. TheTruthSpy app is the popular app used for spying chats of BBM messenger, snap chats, etc. How to get TheTruthSpy app? You can get TheTruthSpy application in the play stores easily, or you can get it from the websitehttp://thetruthspy.com. The app is free to download on the smart phones, iPhone, and android mobile. You must have good internet connection for the quick download. Then, after downloading you are required to install the application on your mobile. The installation process is completed within five minutes, and you are not made to wait for long. The necessary step involved in using TheTruthSpy app is to first make your account on it. Then after making an account, you have to log in using your password and id. You can also take the free trail of 48 hours. After you complete with making your account, you can learn how to use the app to spy bbm messenger messages. Also, make sure that you have an internet connection because then only you will be able to use the BBM messenger spy. In case you lack an internet connection, then you will not be able to access target mobile. And you will not be able to enjoy the features offered by the app. Spy bbm messenger: TheTruthSpy app allows you to spy on BBM Messenger chats. The whole conversation of the targeted person will be uploaded on your mobile using this application. The date, online status and all the chat information of target cell phone will be displayed on your mobile within five minutes. You can thus check at what time your child or spouse was active on the BBM messenger. 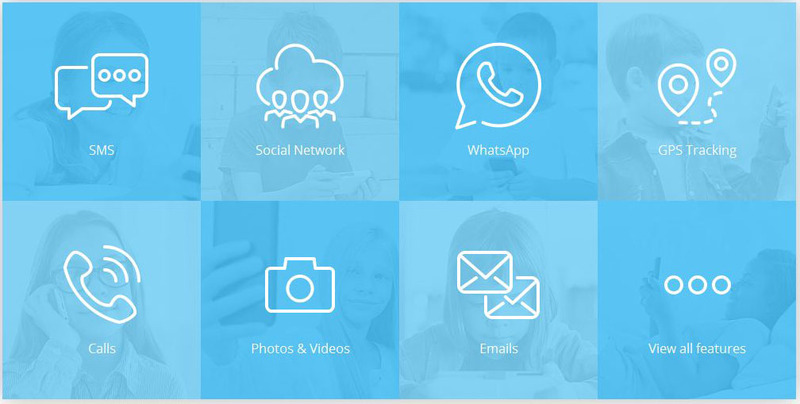 Spying bbm messenger will help you to know whether sitting in the room your children is chatting or involved in studies. Also, the encrypted chats cannot be hidden from you. Media files: you can not only spy bbm messenger but also you can access the media files, photos and video saved on the target mobile. All the photos targeted person capture or take a snapshot or make any video will be displayed on your mobile. You can monitor the media files using TheTruthSpy. You can easily check the downloaded media easily and monitor if any wrong videos are saved with bad content in them. Hack Facebook: another feature offered by TheTruthSpy app is that you can hack the conversation made on the facebook by targeted person. The messages, videos as well as photos shared on the facebook can be monitored easily using this application. This feature is best as you can monitor the activities of the person on social media. You can not only hack the messages but can see to the encrypted content as well. Alerts and notification: TheTruthSpy app will send notification or alert message on your account if the targeted phone is switched off or the SIM is changed. Thus, you will instantly know the number they are using on their mobile for making calls, SMS, etc. this is the good feature of TheTruthSpy . From time to time you get the notification about the targeted phone which is the best feature as you can continuously monitor. 100% undetectable: the targeted person will never know that the other person is spying on him. You can thus, comfortably spy bbm messenger and other applications easily and read the conversation between the targeted person and the unknown person. It will never reveal the identity of the user. Thus, if you are spying your child mobile then need not to take tension they will never get a hint that you are spying them. Spy View notes: TheTruthSpy app not only provides the feature to spy bbm messenger or other types of messenger but you can also see the notes. Yes, you can see the secret notes saved on the targeted mobile as the app will send you the data. In this way, you can know about the password they use to login to social media sites like Facebook, WhatsApp, etc. GPS tracking: TheTruthSpy you are using to spy bbm messenger can also help you know the location of a targeted phone. You can see this through GPS tracking feature available in this application. The application will let you know the GPS location of the map within no time from the user control panel. Spy call: TheTruthSpy has the feature by which you can see spy the call made by the target person. You can see missed call, outgoing and incoming calls as well as hear the call recording of victims mobile on your Smartphone. If you are the business person and want to check the employee who is working in your office is a faithful or not then use this application. Not only you can spy on normal call list but you can spy bbm messenger calls both, calls made through WhatsApp, facebook, etc. you can clearly listen to the live conversation of the target cell phone using the application. Call recording: TheTruthSpy is crucial in recording the calls made using WhatsApp, Messenger, etc. you can record and keep the conversation of target person safe in your account and use it to prove the cheats they made to you. It is very easy to record calls that are made from specific number time to time. The recorded content will get automatically uploaded in TheTruthSpy control panel which you can view whenever needed. Spy spouse: TheTruthSpy app helps you know the truth your spouse is hiding in his cell phone. Yes, at some point in time when you feel cheated you can use this app and spy bbm messenger chats, read messages to know the truth hidden in the chats. Also in this way, if there is any misunderstanding between you and your partner that will be cleared as you can monitor them. Monitor children: you can monitor your children activity easily using TheTruthSpy application. Parents having doubt that their child is involved in wrong habits and are doing something wrong on social media can take help of this application. The parents who often remain busy and don’t know where their child is wandering can know their child activity using GPS tracker feature. Spy employee activity: it is necessary in the office place that the boss should spy on the employee. The spying on employee is necessary as you don’t know how your company’s important data get stolen or shared with another company without informing you. Using it this app you will know which employee of your company involved in fraudulent activity and is sharing your content through his mobile. Visit the TheTruthSpy official link using your browser. Click on download option and after download completed open notification window. From notification window, you can easily install the app. Register yourself in you don’t have an account to create user account and password. Therefore, start using TheTruthSpy to spy BBM messenger chats, call logs; SMS, etc. download it now to get the free trial of 48 hours. Only if you use the application then you get knowledge how useful is this application. Reading the features, reviews, and benefits will not help you know about the application. Only after using it you will know about the application in detail. If you find the application useful after taking the free trial, then you can purchase it for using it further. TheTruthSpy application will be helpful for monitoring through smart phones. This application supported to work on smart phones is helpful in comparison to other application which only works on a laptop, computer, etc. you can carry laptops and systems to far places, but you can carry the mobile phone everywhere easily. Thus, use your smart phones for better monitoring of your family, spouse or employee using this software. TheTruthSpy application version is updated time to time which makes further new features available for you to use. Spy bbm messenger, facebook messenger, chats on whatsapp, etc from today using this application. Get the solution to every problem like a cheating spouse or know about cyber bullying faced by your child etc. you can take further necessary steps when you monitor your loved once and find any problems.